Amongst the leading Indian manufacturers of flexible packaging machinery is SP Ultraflex Systems which has been a trendsetter in slitter rewinder technology in India and South East Asia ever since it’s inception in 1985. Its evolution like that of several other Indian manufacturers and even distributors of leading global brands, is analogous to the growth of one of the strongest flexible packaging industries in the world in the past 25 to 30 years. In its three evolutionary decades, SP Ultraflex has developed as many as 8 well differentiated and proven models of converting slitters to meet diverse customer requirements. It’s flagship ROBOSLIT dual turret series, introduced in 2014, revolutionized slitter productivity by employing dual turret technology and a 26 seconds rewind changeover, resulting in more output per unit man, machine and space and bringing sustainable profitability to converting units in an extremely competitive environment. 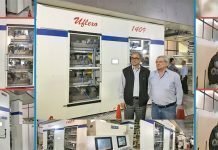 2018 has been an eventful year for SP Ultraflex, with notable installations at the plants of some of the leading packaging converters. Most of these convertors have opted for a mix of equipment – European and Indian rotogravure presses; predominantly European CI flexo presses (although the initial Indian manufactured CI flexo presses are in what can be called beta sites); and for mostly imported solvent-based, solvent-less lamination from Europe and co-extrusion laminators from the US and Asia. (Here it must be kept in mind that as many as ten Indian companies have also started making co-extrusion laminators but the best of these are still in their initial proving stages.) However when it comes to slitting and rewinding machines there are some imports of European manufacturers such Atlas Titan but in this segment there is a preponderance of Indian manufactured machines that are overwhelmingly led by SP. In January 2018, Rajhans Enterprises of Bengaluru added to its slitting capacity with the purchase of its third ULTRASLIT OHP duplex slitter rewinder from SP Ultraflex. After having twice experienced the hygienic, overhead path of the Ultraslit, the decision for the third was not difficult to make. Jodhpur based Uma Polymers known in the food, pharmaceutical and personal care packaging segments, has used SP’s slitter rewinders and web inspection rewinders for 15 years, with as many as 13 slitters installed at various locations including Jodhpur, Abu Road and Guwahati. Over the years, the compact, front loading PRIMASLIT FL duplex slitter continues to be the preferred model at the Uma Group, owing to its small footprint, excellent visibility and ease of operation. After having installed two PRIMASLIT RL duplex machines in preceding years, Oswal Extrusion in Gandhidham upgraded to the dual turret technology with the installation of the ROBOSLIT OHP machine in March 2018 to support their increased printing and lamination capacities. Presented with an option of two duplex machines versus a single dual turret machine, the management, after some consideration, decided in favor of the latter after studying the price/benefit equation. The the performance and output of the dual turret machine has totally vindicated their decision. SP shares a close and long-standing association with the Huhtamaki Group which has about 15 plants in India and 22 plants spread across the globe. A partner in several R&D initiatives at its India and UAE-based units, SP has developed customized solutions for some of their most challenging jobs in slitting and inspection, and in the process added to its own knowledge base and technological competency. Now it is getting ready to install the first set of slitter rewinders in the new Huhtamaki plant in Egypt. In 2018, a rear loading PRIMASLIT RL duplex slitting machine was also installed in the Thane plant. Aadinath Flexipack is based in Indore in the heart of India and supports flexible packaging in diverse sectors like food, pharmaceutical, home and personal care. A quality conscious company with world class infrastructure, it runs two SP PRIMASLIT RL duplex slitter rewinders from SP, the latest one just supplied in July 2018. The company also has SP’s high-speed web inspection rewinder for quality management and waste removal. The flexible packaging business in and around Hyderabad is booming. To meet the growing demands of customers, converters are investing in the best capital equipment from all over the world. SP takes pride in being associated with some of these leading organizations. 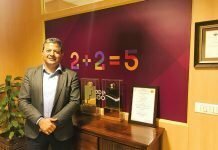 With a broad vision to grow, Shrinath Rotopack Hyderabad has exponentially increased its manufacturing capacity since the turn of the millennium. Between 2005 and 2015, SP supplied multiple duplex slitting machines to Shrinath, who witnessed first-hand the continuous evolution of SP machines in terms of productivity, quality and operator friendliness. In 2015, the team at Shrinath felt that they needed to move on to the next level i.e. to dual turret technology and were happy to invest in their first ROBOSLIT machine. Satisfied that the increase in productivity was as envisaged, they repeated the order within a year. The 3rd and latest ROBOSLIT was supplied to them earlier this year. While the first two machines were meant to handle regular flexible laminates, the 2018 version was custom designed to handle low thickness PE and to produce jumbo reels at the rewind. The 5th ROBOSLIT machine in the Hyderabad region was installed earlier this year at Vijayneha Polymers, another veteran customer of SP’s slitter rewinders. Displayed during the IPLEX 2018 exhibition running at its rated 800 meters a minute speed, it was then shipped to Vijayneha’s plant to join the ranks of some of the best in class equipment for extrusion, printing and lamination of flexible packaging. It was not an easy task to convince Modern Packaging Company in Pardi to opt for a dual turret slitter when they wished to augment their slitting capacity in 2017. The requiremen was in fact for two machines and it was decided that they would buy the dual turret ROBOSLIT OHP first, followed by its duplex counterpart, the ULTRASLIT OHP in the following year. However, when the time came, the production records said it all and MPC repeated an order for the dual turret ROBOSLIT OHP in 2018. The customer was pleasantly surprised to find that some major upgrades had been made on the machine, not least among them being the ITM software which made unwind and rewind tension management a breeze. Global player Hotpack Packaging with operations in GCC, Africa, UK and USA produces packaging solutions for the food and beverage industry. In the recently installed ROBOSLIT OHP slitter rewinder running at 800 meters a minute, Hotpack found just the right combination of high speed, flush winding quality, hygiene and virtually non-stop production to provide impetus to its ambitious growth plans. 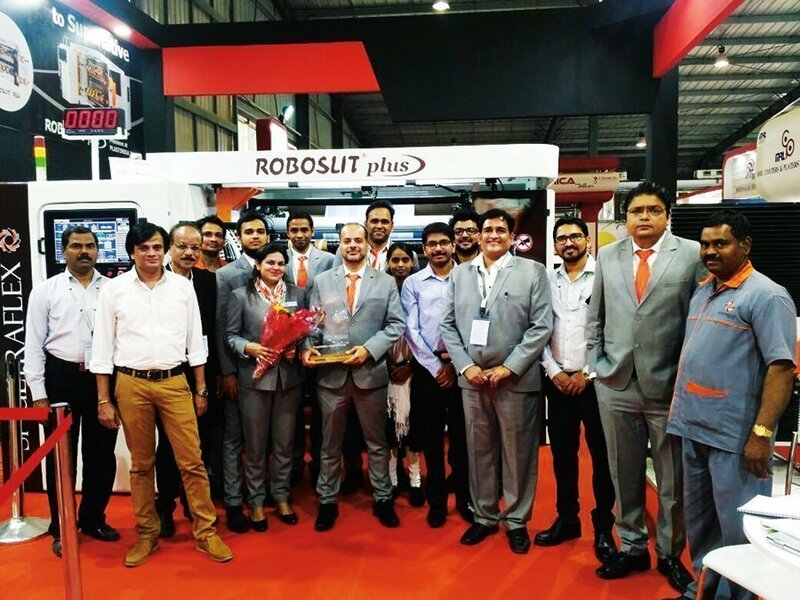 A few years ago, one of India’s largest carton manufacturers, TCPL Packaging set up a new flexible packaging plant in Silvassa, for which it installed a state of the art Bobst Rotomec and Nordmeccanica lamination machines. Apart from some niche slitter rewinders from a global manufacturer, TCPL finalized the Duplex Rear Loading PRIMASLIT RL from SP Ultraflex. 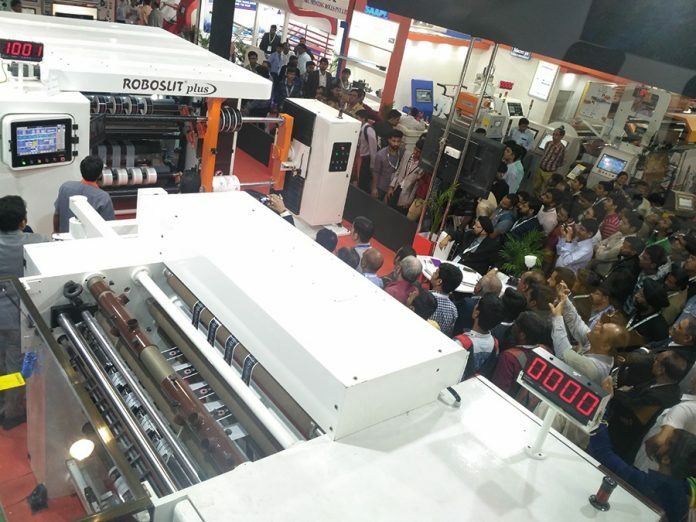 Satisfied by its performance and the prompt service and support TCPL ordered a Dual Turret ROBOSLIT RL machine in 2018, when slitting capacity needed to be raised with the minimum use of floor space.